Call or email and let us know that you are interested in discussing a Playback Control system. One of us will call you to discuss your specific needs for the rig. Once we determine exactly what you are looking to do, we can choose the appropriate hardware and begin the quotation process. We will begin creating an estimate for your playback system. This estimate will include hardware (including computers/iPad), software, input/output panel, case, installation labor, and the original design fee. This design fee includes customizing your software to operate the playback system according to your needs. This fee will also include a line check program as well as a test program. In addition, you will receive a entire day of training where we will teach you how to program your show using your new Playback Control system. (additional travel expenses may be required to get our programmer to come to you for training) The quote will NOT include any expedited shipping which may be necessary if you require a quick turnaround on your system. 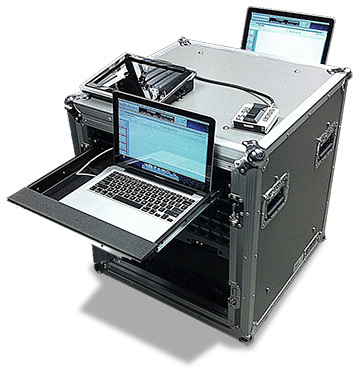 Once the band/management has agreed to the quote, we can determine when and where to have your system delivered to you. We can quickly iron out these details and get started on your system. Tour Supply's technicians in either Los Angeles or Nashville will begin assembling your system. The utmost care will be given to every solder joint, connector, and panel. Every single item has been well-thought-out, through many years of research, to ensure the highest quality products are used in the manufacturing process. We are always thinking about quality, durability, and weight (if it's a fly system). We will complete the building of your system and prepare it for final delivery. By this point, your programmer will have completed your design package and will be ready to present the system for your day of training. We will meet at the predetermined location - usually at your rehearsal facility - and begin your training day. Once we get to this point, most clients find it painless to input their data once we've built the "backbone" of the system. We'll be there to guide you along throughout the day and make absolutely certain you're ready to go! Want to take a shortcut? Have one of our programmers build your entire show. Whether you want to do guitar switching to a Fractal, run backing tracks, configure DMX lighting control, send timecode for video...we're ready to do it for you. Show Programming can be discussed for a separate rate and is always determined on a case by case basis. 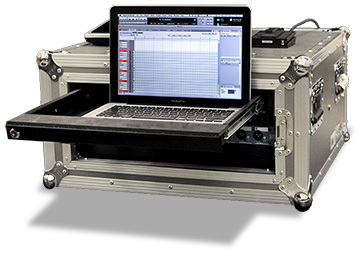 STEM CREATION: If necessary, we can build all necessary stems from your original Pro Tools sessions. Send us your masters. We will create the stems you would like us to build into your show for you! 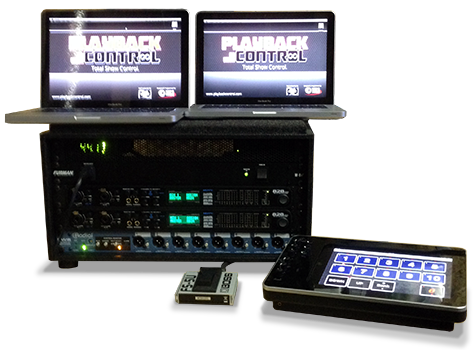 With Playback Control, you can get a full service solution for your playback needs! Once programming and training is completed, you're out the door and doing shows. This is our favorite part of the process because we're usually getting calls and emails from our clients telling us how flawless the shows are going and how much they love their Playback Control rig!! You'll love the ease of use, the reliability, and functionality of our system. We're equally happy to have you as our customer and hope to work with you for many years to come! We install "TeamViewer" software on every system we do. This software allows us to connect to your show computers at any time (as long as you have internet). Need to add a new song or additional programming for your existing songs? No prob, give us a shout and we can log in and help you remotely! Thanks again for choosing Tour Supply and Playback Control; we appreciate the opportunity!